3D printing isn't just confined to plastic. 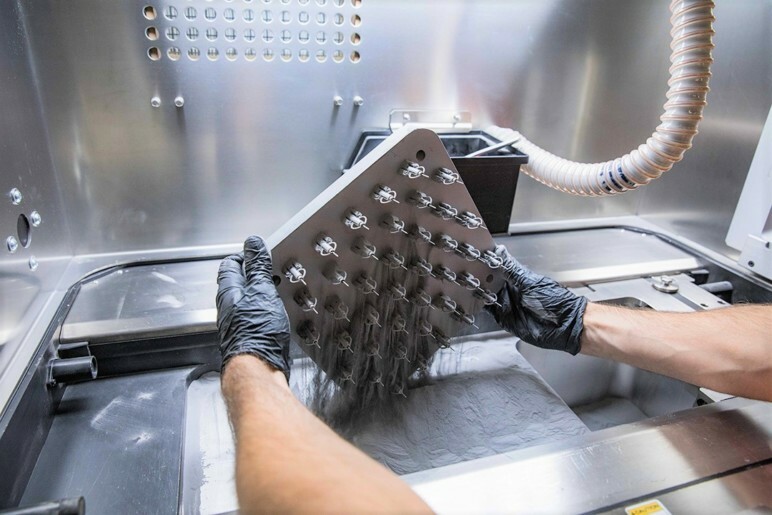 Learn all about direct metal laser sintering, one of few 3D printing technologies capable of making parts directly from metal. Direct Metal Laser Sintering (DMLS) What Is DMLS? Direct metal laser sintering (DMLS) is one of the few 3D printing technologies that directly create a metal part from its 3D computer model. This process is an advancement of powder metallurgy (PM), a mature metal-molding technology that uses heat and pressure to form powdered metal parts. 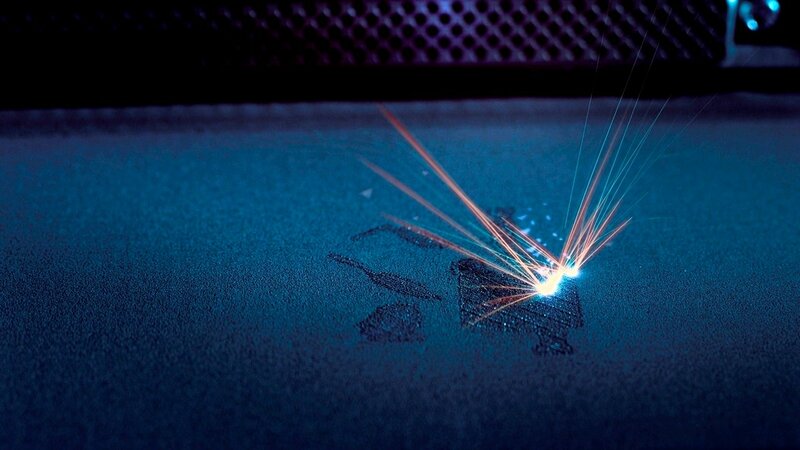 The working material for this 3D printing process is finely powdered metal. Typically the manufactured size of the metal particles is 20 – 40 micrometers. The particle size and shape limit the detail resolution of the final part. Smaller metal particle size and less variation allow better resolution. Other resolution limits in this technology are the layer height and the size of the laser spot. Like other 3D printing processes, the model is divided into many fine layers, which are then printed one-by-one to build the final part. Printable layer heights are approximately the maximum size of the metal powder used. DMLS shares the use of metal powders and lasers to print parts with a sister technology, selective laser melting (SLM). The difference between these two processes is the temperature used to fuse the metal powder. SLM heats the metal powder until it fully melts into a liquid. DMLS does not melt the metal powder, so less energy is needed. Sintering heats particles enough so that their surfaces weld together. Because it does not melt the metal powder, DMLS works with metal alloys (metal mixtures), while SLM works best with pure metals. The DMLS and SLM processes are functionally the same. Powdered metals are used, lasers fuse the metal particles, and all their other internal processes follow the same script. The only quantifiable difference between the two is the temperature produced at the metal powder surface. In simple terms, SLM gets the metal hotter than DMLS. Is this temperature difference enough to call these two separate technologies? Yes, if patents, licenses, and marketing are to be believed. The DMLS story begins in the 90s with the invention of selective laser sintering (SLS), as described by Carl Deckard‘s now expired patent. 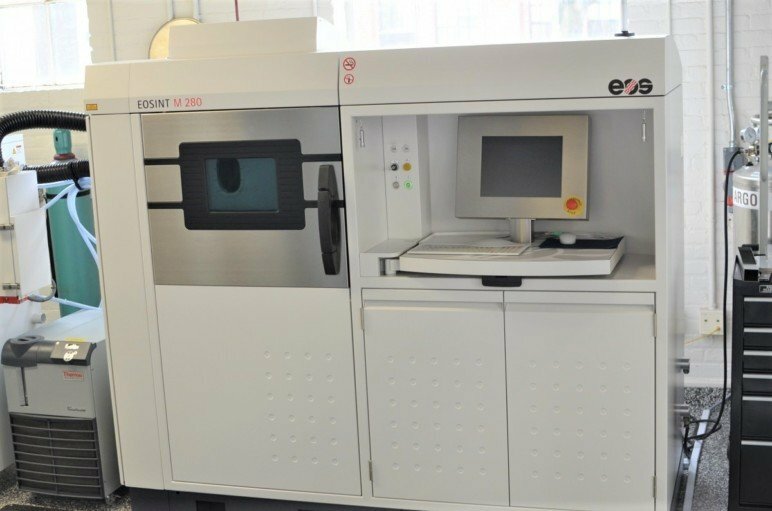 In parallel, EOS, a company in Munich, Germany, was also developing additive manufacturing technologies, including laser sintering for plastics and metals. Advances of the technology continued with associated licensing agreements (and legal battles) until EOS ultimately gained the worldwide rights for SLS. The company then proceeded to champion DMLS (nee SLS) technology, producing the first commercial DMLS printers in 1995. EOS continues to be the leader in DMLS technology today. SLM technology was developed in the same timeline as DMLS at the Fraunhofer Institute for Laser Technology in Aachen, Germany. This technology advanced over the following years, albeit with multiple licensing issues and court cases. These issues were not related to the technology itself but to the breaking of licensing agreements. While EOS emphasizes DMLS, they also hold an interest in the SLM technology through their licensing arrangements with Trumph GmbH. DMLS follows the basic process sequence for most 3D printing technologies: model, slice, and print layer-by-layer. Once a 3D model is created and sliced with the appropriate software, the code needed for the printer to make the part is supplied to the printer, and the physical process can begin. To start, the DMLS printer hopper is filled with the desired metal powder. Printer heaters bring the powder to a temperature near the sintering range of the alloy. The printer uses an inert gas, which protects the heated powder and part as it is built. The build begins with dispensing a thin layer of metal powder onto the build platform. The laser then begins its path for this layer, selectively sintering the powder into a solid. The sequence of dispensing a layer and sintering continues until part completion. After the part is left to cool, the surrounding loose metal powder is removed from the printer. The last steps include support removal as well as any post-processing needed. DMLS parts can be treated like metal parts produced by conventional metal working for further processing. This may include machining, heat treatment, or surface finishing. These process steps are shared with SLM, just with the laser’s power turned up to “melt”. As DMLS and SLM are functionally the same, they share many advantages and limitations, with a few exceptions. Naturally, both share many advantages with other 3D printing technologies. In particular, building an object layer-by-layer allows for the efficient and affordable production of complex internal and external geometries. This is simply not possible with subtractive (machining) or formative (molding) processes. That said, let’s take a look at some of the things that stand out for DMLS (and SLM). Direct metal printing: DMLS and SLM can produce metal parts directly. DMLS can be used with metal alloys or pure metals without affecting the properties of the material. Even mixtures of powders (e.g. aluminum and nylon) can be successfully printed. Variety of materials: Between DMLS and SLM, a wide range of metal and metal alloy powders are available, including steels, stainless steels, aluminum, titanium, nickel alloys, cobalt chrome, and precious metals. Recyclable material: Metal powder that is not sintered or melted is reusable. High pricing: DMLS and SLM have the highest price points of 3D printing processes; the machines and materials are expensive, and the process is slow. Porous parts: Finished DMLS parts are porous relative to a melted metal part. Porosity can be controlled but not eliminated in the process or during post-processing. Small parts: Most DMLS printers have relatively small build volumes. 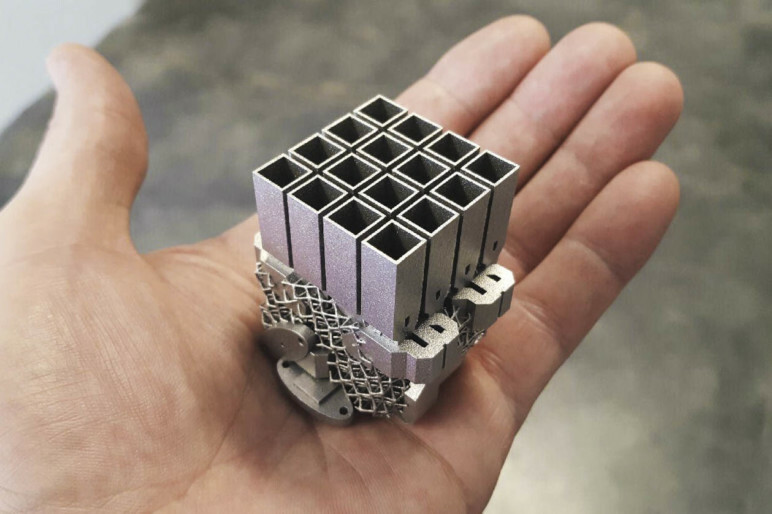 Few 3D printing processes are able to directly print objects using metal — DMLS can. This ability makes the technology popular in manufacturing complex parts using high-performance metals and alloys. The areas that benefit greatly from the use of DMLS are the medical, dental, and aerospace industries. Their parts frequently require the use of high-performance or exotic materials. DMLS can build parts that simply cannot be manufactured with conventional metalworking technologies. Medicine: Custom prosthetics can be modeled and printed in materials like titanium alloys to replace portions of bones lost to accident or disease. They have high strength, are resistant to attack by the body, and the porosity helps bone grow into the prosthetic structure. Most importantly, each prosthesis can easily be made unique to the individual patient. Dentistry: Prosthetics, bridges, crowns, and partial dentures are easily modeled specifically for the patient then printed in high-strength materials like cobalt chrome. Custom fit, strength, and long-term durability are quickly available through the DMLS printing process. Aerospace: DMLS is a key part of reducing part count, creating complex geometries, and weight reduction while maintaining or increasing part strength and durability. DMLS parts are used in commercial aircraft and rockets, from simple brackets to complex turbine parts and probes. Even complete rocket exhausts can be produced. 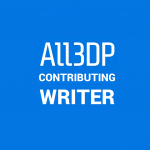 License: The text of "Direct Metal Laser Sintering (DMLS) – Simply Explained" by All3DP is licensed under a Creative Commons Attribution 4.0 International License.